Apple kicked off its media event at the Bill Graham Civic Auditorium today with a big surprise. Shigeru Miyamoto of Nintendo took the stage to announce that Mario is coming to iOS in December, just in time for the holiday season. Super Mario Run has three play modes. The first is a single-player mode where Mario runs automatically to the right similar to other endless-runner, platformer games on iOS. Tapping the screen makes Mario jump to do things like reach platforms, collect coins, and avoid enemies. The longer you tap, the higher Mario jumps. The goal is to reach the flag at the end of the level before time runs out. Second is a battle mode called Toad Rally where you play against the scores of friends or other players from around the world. Toad Rally does not have a flag at the end of each level. Instead, you race against the clock collecting coins and impressing toads to try to beat the score of the person you challenged. The final mode is a building mode where you can create a Mushroom Kingdom. Using coins collected in the first two modes, you can decorate and customize your Mushroom Kingdom. 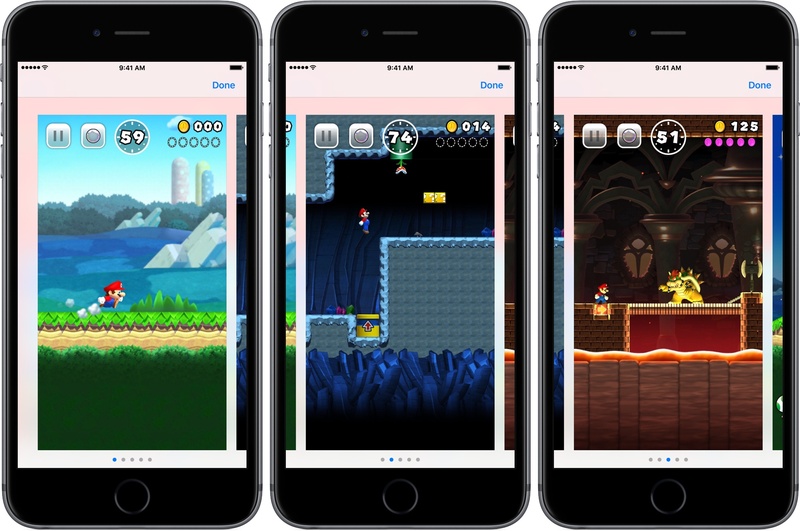 iOS users will be able to download and enjoy a portion of Super Mario Run for free and will be able to enjoy all of the game content available in this release after paying a set purchase price. 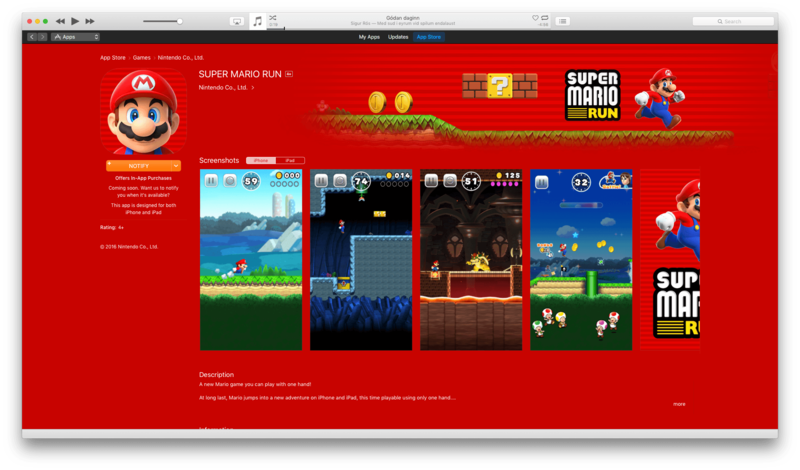 Because Super Mario Run does not come out until December it is interesting that it has an App Store page at all. Instead of a ‘Buy’ button, the page has a ‘Notify’ button you can use to receive an alert when the game is available. Finally, to tide over fans until December, Nintendo is releasing a Mario-themed sticker pack for Apple’s Messages app, which will be available when iOS 10 launches on September 13, 2016.